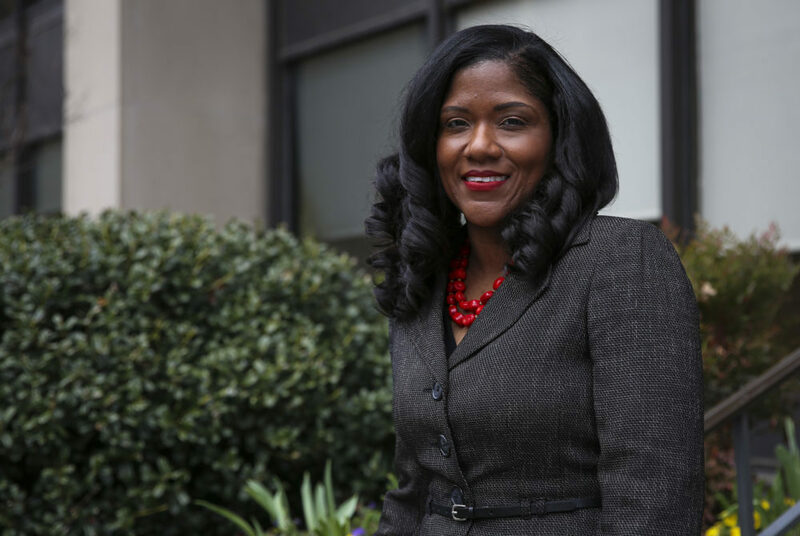 Caroline Laguerre-Brown, the vice provost for diversity, equity and community engagement, said her office will add documents and training materials for faculty to its website. Faculty will soon be able to reference a webpage about diversity in the classroom. The Office for Diversity, Equity and Community Engagement plans to add documents and training materials to its website to help faculty members develop diverse curricula and to make ethnic and racially diverse students feel comfortable in classes, Caroline Laguerre-Brown, the vice provost for diversity, equity and community engagement, said this week. Laguerre-Brown said in an interview that her office would work with faculty in the Graduate School of Education and Human Development and the University Teaching and Learning Center to develop training information and other documents for the webpage. She said the project is still in development, but that the resources would be “pretty broad and accessible.” She added that she hopes the general page will encourage schools to develop their own resources in the future. Laguerre-Brown said incorporating diverse lessons has been a major topic of conversation at colleges and universities nationwide recently, especially as students become more ethnically, racially and socioeconomically diverse. Officials announced last fall that this year’s freshman class was the most ethnic and racially diverse in GW history. In the wake of the presidential election and President Donald Trump’s campaign, students held a number of protests on and off campus, including a walkout that drew about 400 participants. In a presentation to the Faculty Senate Friday, Laguerre-Brown cited figures from a campus climate survey on diversity and inclusion that showed some students were disappointed with the lack of diversity in GW’s curricula: More than half of all undergraduates agreed or strongly agreed that diverse perspectives were included in class lessons, but only 20 percent of black students felt the same way. “That was a big part of the desire to see us respond to that kind of data with a comprehensive effort to provide support for our faculty,” Laguerre-Brown said. The provost’s office also asked each of the University’s 10 deans to submit diversity plans before the end of the academic year. The diversity office’s website currently includes resources for faculty, but the links direct to web pages at other universities, including information about teaching during last year’s presidential election from University of Michigan, tips about considering race, ethnicity and gender in the classroom from the University of California-Berkeley and resources for multicultural teaching from the University of Minnesota. GW’s website also includes information about diversity and inclusion trainings offered to students, staff and faculty by the Multicultural Student Services Center. Duke University, one of GW’s peer institutions, offers a faculty “toolkit” with links to academic books and journals on diversity in the classroom. Boston University offers a faculty development website with links to reports on campus climate. Some GSEHD faculty said a website with training materials may not be enough to make multicultural students feel comfortable in class. Lottie Baker, a visiting assistant professor of curriculum and pedagogy in GSEHD, said she had not heard about the diversity office’s plan for a webpage but that a faculty guide page would be helpful if it was tailored to faculty’s everyday experiences in preparing lessons and speaking to students. “I think when you make these packages – these curriculum packages – that are supposed to be in general, across the board for many different classes, it’s not always helpful if it’s not tailored to what you need as an instructor,” she said. Baker said a faculty resource page should be a “living document” that is continuously updated with new information and could include a discussion board where faculty could discuss experiences. Mikyong Minsun Kim, an associate professor of higher education administration, said other schools besides GSEHD might need to be involved in creating the materials because faculty in the education school have “very limited” interaction with undergraduate students.